We are a trusted manufacturer and supplier of top grade Pumps and Process Control Instruments. 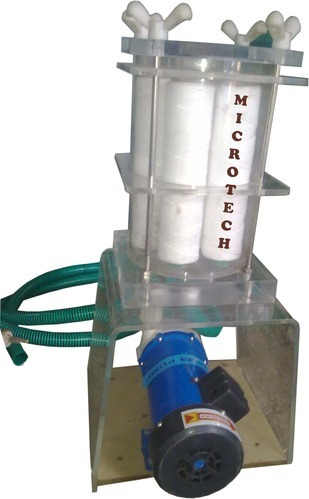 With a premier aim to cater to the varied demands and requirements of our client in an efficient manner, we offer a comprehensive array of products comprising Transfer Pump, Polypropylene Pump, Stainless Steel Self Priming Pump, Filter Pump, Magnetic Drive Pump, Dosing Pump and Process Control Instruments. All these products are developed in compliance with the international quality standards. Our firm has crossed milestones of success in the industry by offering quality products that are known for an optimal functionality and long service life. The professionals employed by our firm use the latest technological advancements to fabricate all our products. Apart from this, we provide prompt after sales support, installation training, onsite support and operational training. Further, we are backed by a wide distribution network that assists us to provide prompt deliveries of consignments to our clients.